The Andrews Museum Collection features photographs taken of the century old town of Andrews, South Carolina. Founded in 1909, Andrews was formed when the towns of Rosemary and Harpers merged. Known for its railway lines and lumber mills, Andrews quickly became a town that had a lot to offer. 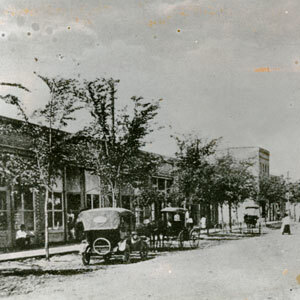 Churches, retail stores, movie theaters and more were built as the town grew. The Andrews Museum is located in the Old Town Hall and offers visitors a chance to see life in 1909 Andrews, South Carolina.